Information Systems Degree: Worth Studying at the Graduate Level? To be a masters student or not to be a masters student. That is the question -- especially when it comes to your career in IT. Everyone is investing heavily in information technology, from businesses large and small to non-profit organizations to government agencies to startups. And they all want make sure they have the best employees--those with the highest degrees of knowledge experience and success--watching over their investments. And that's where graduate level studies come into play. Many IT professionals out there can to do the technical work. They can program and manage database systems and develop mobile apps, all of which are skills employers' value. But what they value even more in their leaders are communications skills, the ability to solve complex problems, and the willingness to lead others by making smart, strategic and often difficult decisions. You should develop these skills in a master's program. If a hiring manager has a stack of resumes on her desk, she's going to have to look for little things to decide who to bring in for interviews. Most likely, there will be many applicants that check all the boxes when it comes to skills, experience and accomplishments. And that's when it's likely to come down to education. The hiring manager will likely start to look for applicants who have taken extra steps to improve themselves in the interest of their current and future employers. Achieving a graduate degree shows hiring managers that you have both the skills and the willingness to go the extra step to improve yourself. The world of IT changes like the weather. What's new today could be old tomorrow and nearly obsolete by the time the new year rolls around. It really wasn't that long ago--about 20 years or so--but in the IT timeline, that's an eternity. Now it's all about Cryptocurrency, virtual reality and who knows what's going to emerge next? The pace of innovation is one of the reasons why employers want people with the skills, training, experience, and education to keep their organizations on the cutting edge. 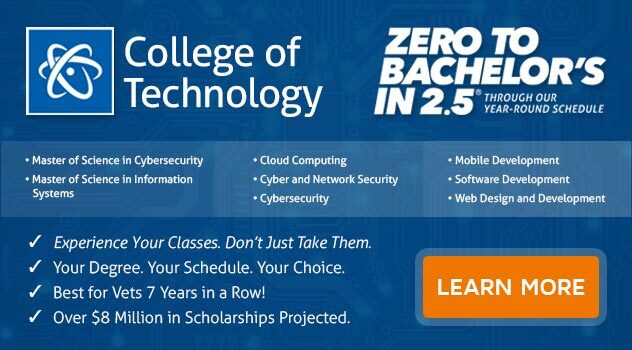 Earning a graduate degree focused on information systems helps you develop and understand the technical concepts, protocols, and software/hardware components of information systems technologies that will not only put you on the cutting edge of emerging technologies--but keep you there. You'll have a solid foundation from which to build the rest of your career, no matter what new technology emerges today, tomorrow or when the calendar turns to the new year. Are you ready to move ahead in your career? If you want to earn a Master of Science in Information Systems, ECPI University could help. With year-round classes and an accelerated pace, you could complete your program in as little as 15 months. For more information about this exciting opportunity, connect with a friendly admissions advisor today.